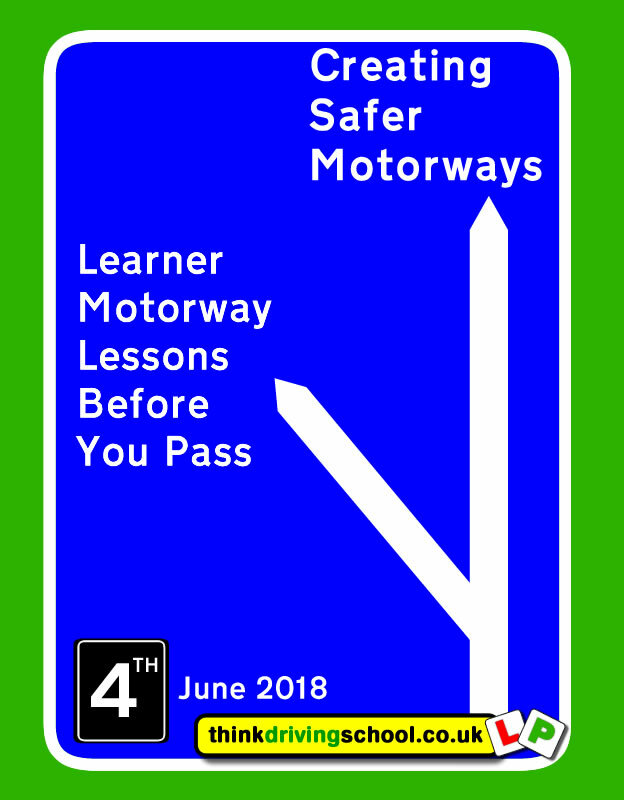 It's entirely voluntary, and it won't be part of the driving test. 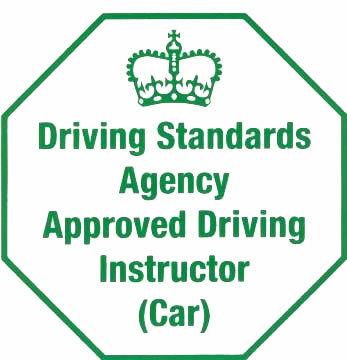 You can only go on them as a learner of category B (Car) and only in a dual controlled car with a fully qualified driving instructor. So you wont a be able to go with your accompanying driver. Do You want to be more eco friendly? Learn in the cars of the future? 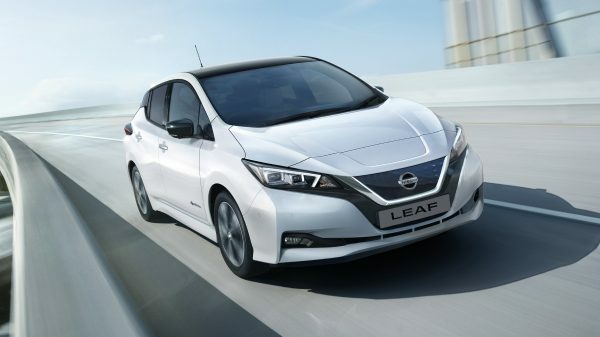 Coming in early 2018 the new Nissan Leaf 2.0 car of the future. Brothers-in-Law Chris Willey and Eliot Wassell passed their B+E FIRST TIME with just 2 driver faults between them after doing a 1.5day course with Adam. Well done gentlemen. Want to get your B+E Licence? Check out our B+E Page for details on what is required and how we can help you get your Licence! So if your looking for a great driving instructor Call or Contact Us Now! If you would to book a driving lesson or buy a Gift Voucher call us on 0800 6123 566 or email via the Prices Contact Us Page. 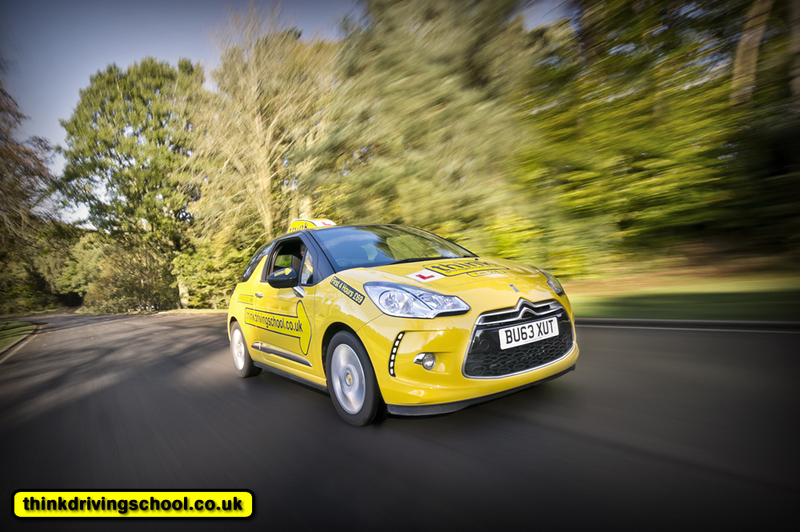 We do Driving Lessons in lots of places check out the Area's Page to find your local instructors. Mailys from Alton was the first student to pass with Think Driving School in 2018. In 2017 think drivng school had over 1000 people pass so im sure Mailys from Alton is the first of a very long list. Mailys passed with our instructor Richard Cieslik. 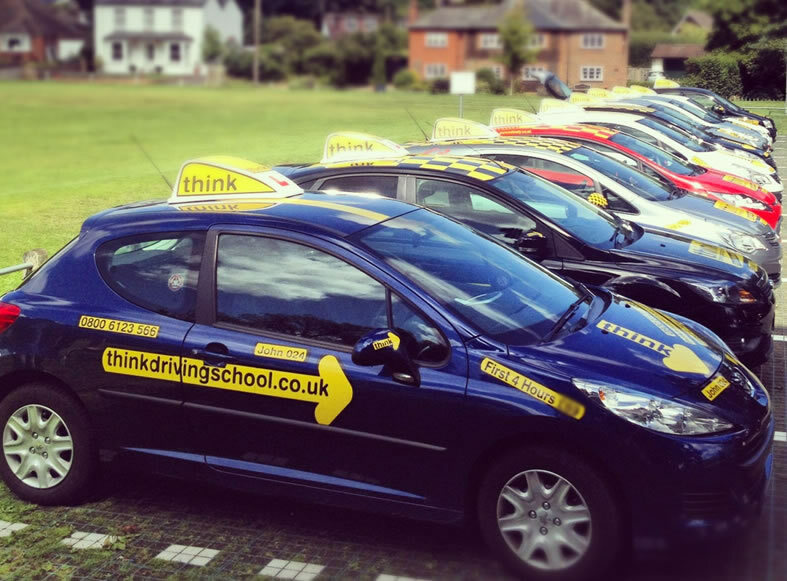 So if your looking for a great driving instructor in Alton/Basingstoke/Odiham area Call or Contact Us Now! 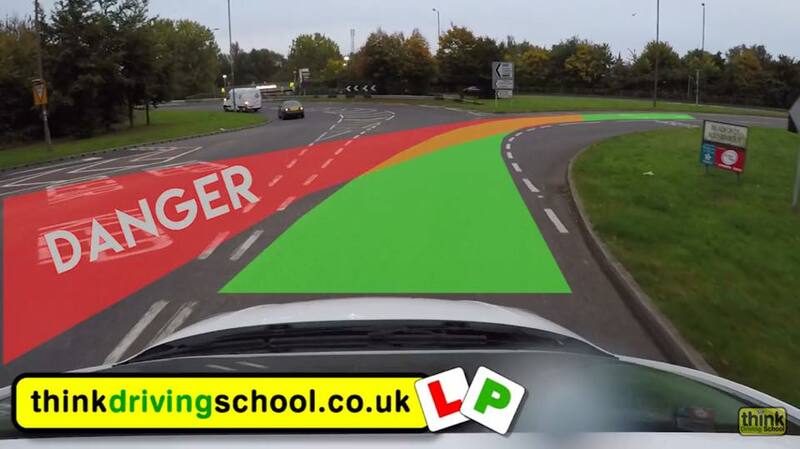 Think Driving School Will be expanding its YouTube Channel Videos quite a lot during 2018. We have already made quite a few new videos in 2017 and now with the help of a Drone hopefully we can cover subjects even better than we have so far. 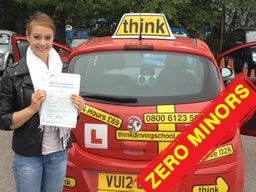 Freya from Grayshot was the first student to pass with ZERO MINORS with Think Driving School in 2018. 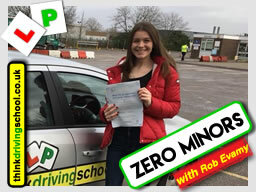 In 2017 think drivng school had over 30 people pass with ZERO MINORS which is so impressive we have creasted a HALL OF FAME for them, so im sure Freya from Grayshott is the first of a very long list to come in 2018. Freya passed with our instructor Rob Evamy. Here @ Think Driving School we pride ourself on having the best instructors. As you can see from all the great reviews we get. 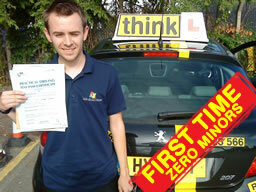 These 2 are from our driving instructor in High Wycombe Adam Iliffe. 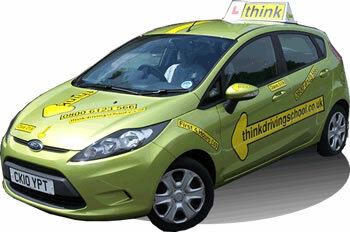 So if your looking for a great driving instructor in High Wycombe Call or Contact Us Now! B+E Trailer Lessons Do you need to get your B+E Licence? 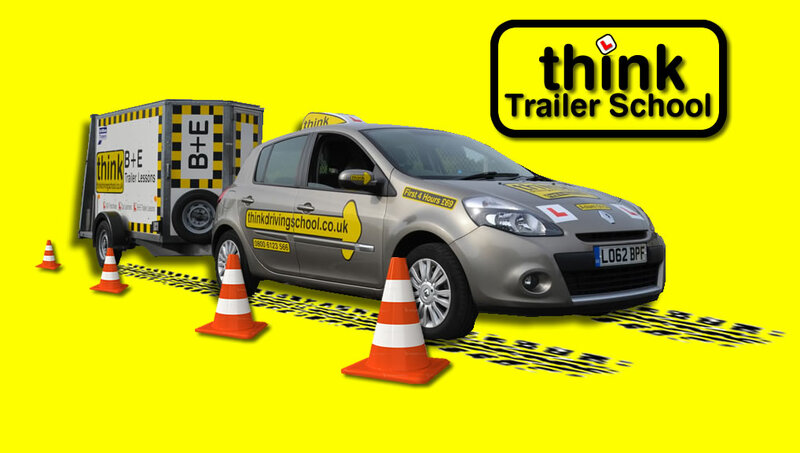 Here @ Think Driving School we offer not only driving lessons for cars but also for the B+E trailer test. So if your looking for B+E lessons Call or Contact Us Now! 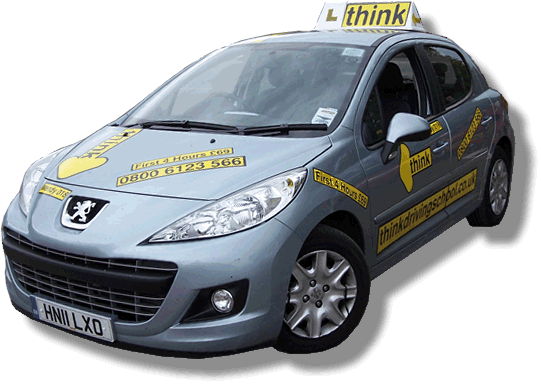 If you would to book a driving lesson call us on 0800 6123 566 or email via the Prices Contact Us Page. 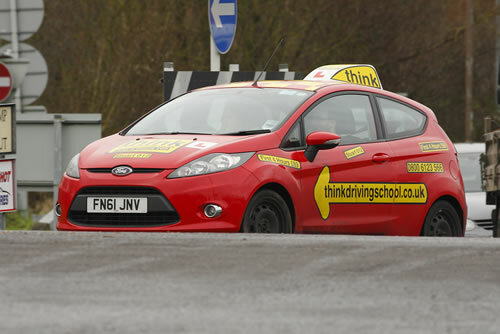 Here @ Think Driving School we have taken some professional photographs of our cars. 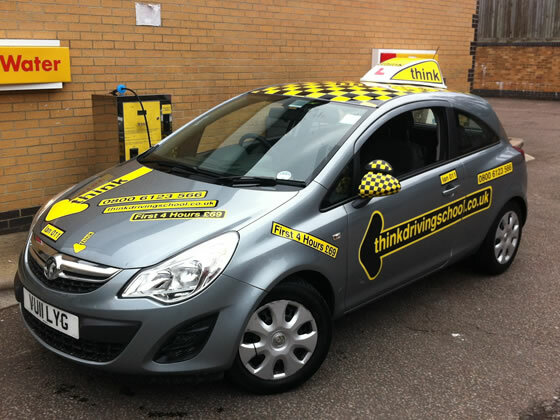 Here @ Think Driving School we have taken on 2 experienced instructors one in Woking so we now cover Byfleet, Chertsey, Weybridge and Addlestone. Thank you Aaron Gee of Think Driving Schools, for taking some great action shots of Stuart's car. We look forward to seeing some more in the future. 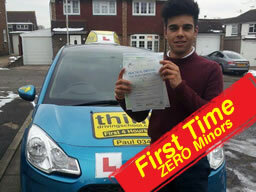 Well Done Ben from Ruislip who had the perfect pass ZERO MINORS with Think Driving Schools Paul Fowler at Pinner driving test centre. 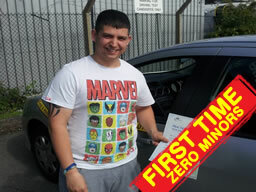 Check out the Zero hall of fame Via the Testimonials Page to check out who else got a perfect pass. Gentle manoeuvres will help you to safe driving. Wear comfortable, dry shoes: cumbersome, snow-covered boots will probably slip on the pedals. Selecting second gear when pulling away, easing your foot off the clutch gently will help avoid wheel-spin. When climbing up a hill it's important to avoid having to stop on the hill by waiting until it is clear of other cars or by leaving plenty of room between you and the car in front. Try to maintain a constant speed, choosing the most suitable gear well in advance to avoid having to change down on the hill. When driving downhill, reduce your speed before getting to the hill, use a low gear and try to avoid using the brakes. Leave as much room as is possible between you and the car in front. If you have an automatic, then under normal driving conditions (motor ways, etc) it's best to select 'Drive' and let the gearbox do the work throughout the full gear range. In slippery, snowy conditions you can make driving much safer by selecting '2', which limits the gear changes and also makes you less reliant on the brakes. Many modern autos have a 'Winter' mode which locks out first gear to reduce the risk of wheel spin. Check the handbook if you're not sure. MOST IMPORTANTLY ONLY DRIVE IF YOU HAVE TO. Well Done Megan from Bordon, Your the First Student to pass in 2013 with think driving school after taking driving lessons with Doug Edwards at Farnborough driving test centre. 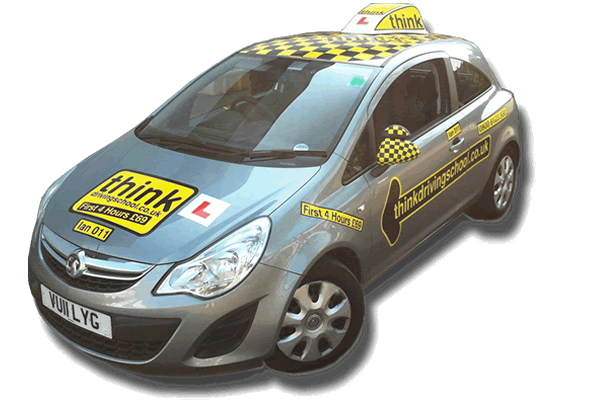 If you would to book a driving lesson or buy a gift voucher call us on 0800 6123 566 or email via the Contact Us Page. 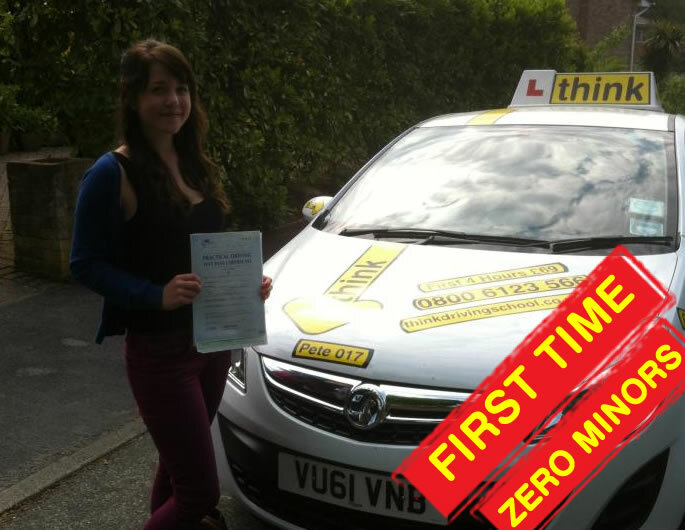 Well Done Anallissa from Woking who had the perfect pass ZERO MINORS with Think Driving Schools Clive Tester a Guildford driving test centre. Think Driving Instructors enjoyed a well deserved BBQ Last Sunday, it was a perfect opportunity to get some cool pictures of Half the fleet of think driving school cars. Well Done David from Guildford who had the perfect pass FIRST TIME and Zero Minors with Think Driving Schools Ross Dunton. Is it about time you got your licence? environment, they reduce fuel consumption by up to 5 %. 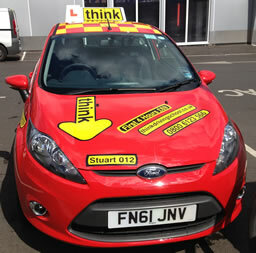 Keep an eye out for the new look think Driving school cars. 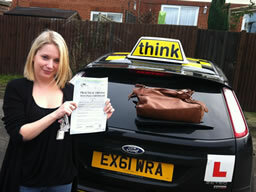 Well Done Cat from Camberley who had the perfect pass FIRST TIME and Zero Minors with Think Driving Schools Pete Labrum. Well Done John Mitchell For Passing all 3 of your qualifying exams Part 1,2 and 3 All FIRST TIME with Think Driving School. Think driving school has Male and Female driving instructors, so if you would prefer female driving instructor for your driving lessons please ask when calling us. If you would to book a Automatic driving lesson or buy a gift voucher call us on 0800 6123 566 or email via the Prices Contact Us Page. Stuart who gives Driving Lessons Aldershot, Farnham, Farnborough and everywhere in between get a new chequered roof. Look out for him i think it looks good!!! Gift Vouchers Available Perfect Birthday Gift? Think Driving School Driving Lesson Gift Vouchers. They are Available from 1 hour to 30 hours. All you need to do is contact us let us know what you need. Once paid for we can then send to you to put in their Christmas or Birthday card. You can even book the first lesson for them on their birthday as a surprise if you like. Or just get them to call us once they have the voucher. It could not be simpler to give you loved one the perfect Gift. If you would to book a driving lesson or buy a gift voucher call us on 0800 6123 566 or email via the voucher contact us page.